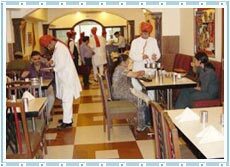 Udaipur has numerous restaurants/ eateries, so eating out in Udaipur is not a problem. Know about what to eat in Udaipur. Udaipur had once been land of Sisodia Rajputs. Being part of Mewar region, certain expectations regarding the cuisine of Udaipur is reasonable. Udaipur used to make one of the best kitchens for the Royal Monarchs. The city still serves the finest food to its dwellers and tourists. If you are planning to visit this beautiful city of lakes, there is no need to worry about your meals, since the city has numerous restaurants. Many a restaurants dish up various cuisines, so there is no need ponder about what to eat.